Our visual ad manager and automated layout optimization technology has helped hundreds of web publishers reduce their operational workload while increasing ad revenue. 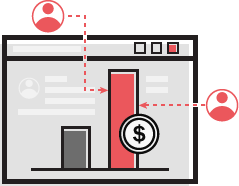 Ad optimization is part of our revenue optimization platform, which provides premium demand, innovative ad formats, and ad layout optimization to publishers. We are a funded startup, backed by Microsoft Ventures, and winner of NASSCOM Emerge 50 Award. I allow Adpushup to contact me through email or phone, as required. Through our strategic partnerships, publishers receive bids from demand partners who are willing to pay higher for an ad compared to existing demand. 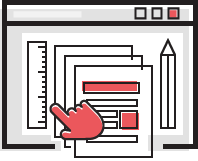 Our machine learning based layout optimization technology helps web publishers maximise revenue potential across their entire ad inventory—automatically without user intervention. 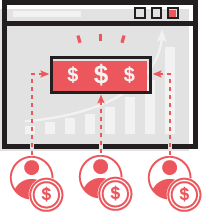 Access more demand partners using header bidding and new formats, create more bid pressure in existing demand using ad mediation and improve UX with AMP pages. We were using too many different options, plugins, and ad networks. AdPushup helped us organize all these by being a one-stop solution.